Gain more customers and promote widely with the new awesome Instagram Pro widget, an absolute must-have for every successful online store today. Enhanced with rich functionality, this Instagram Pro widget will add an Instagram feed to your website, giving you the power to get the most out of your online presence and raise your conversion rates. Instagram Pro widget will release the hidden potential of your store, taking your interaction with the target audience to the new unprecedented level. 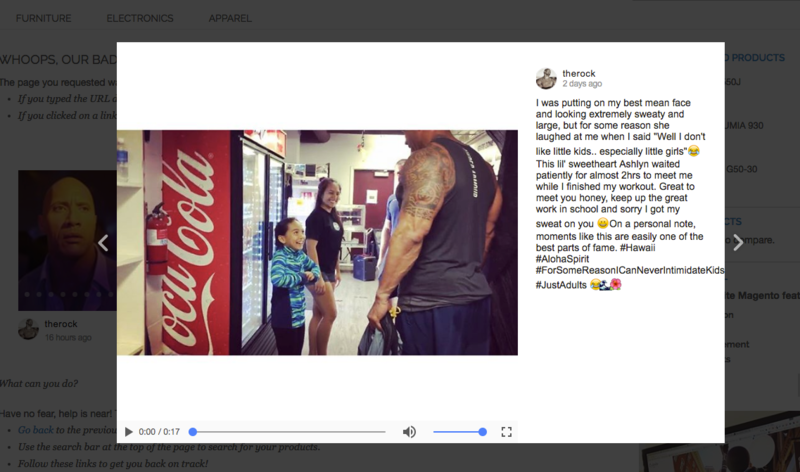 Show customers what you offer, provide them with real-life use cases or tell them more about your company – with Instagram Pro you will get closer than ever to people who buy from you. 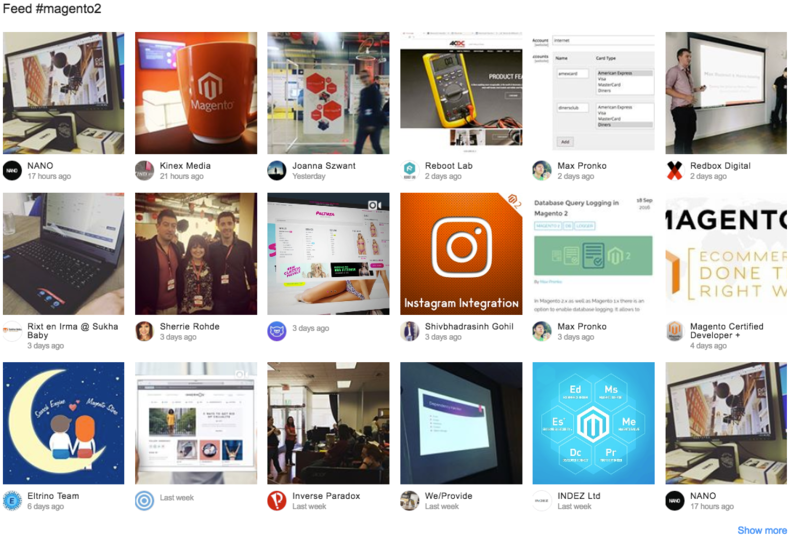 Display photos from Instagram either by a hashtag, user ID or a product hashtag and show your products at their best! 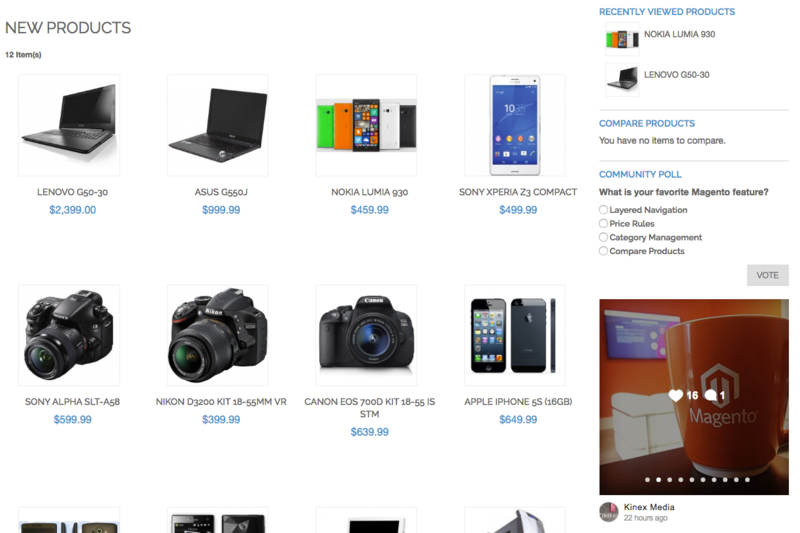 Add the widget to your product page, insert into a CMS page or a static block and see how great will your store look! Need a proof? 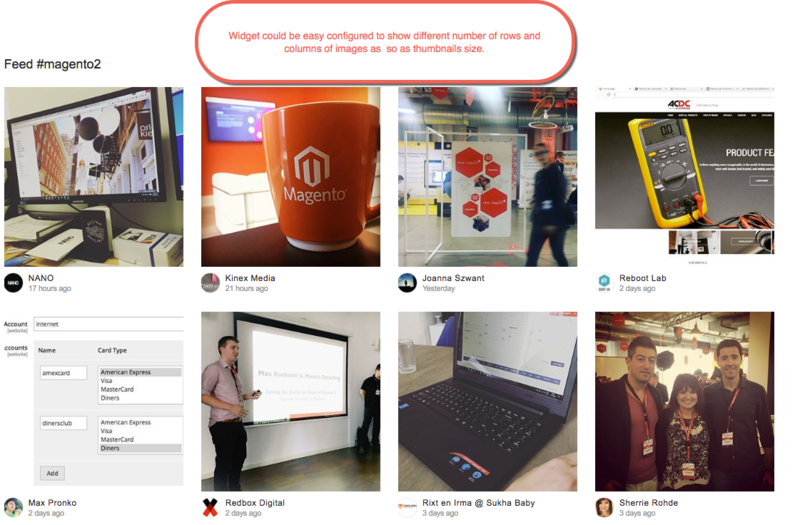 See our demo store for the examples. 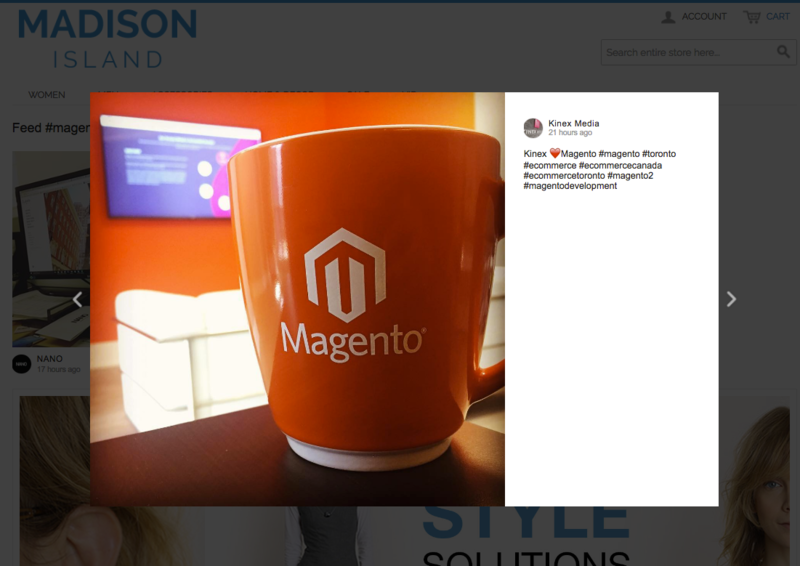 Forget hassling with Instagram’s API – all you need now is your Magento admin panel. 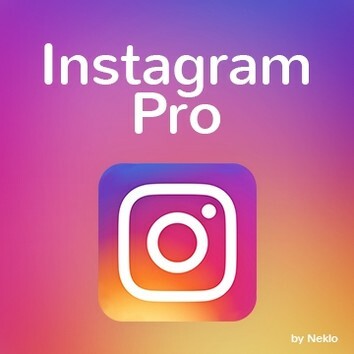 All that is needed for you to start using Instagram Pro on your store is to install the extension. No Instagram authorization or permissions review are required. Try now. This is so far the only one widget - that offers so simple installation so powerful features. Thanks for the support! Best extension for Instagram I have ever seen. By the way the only one now which works perfectly from the box without code manipulation!